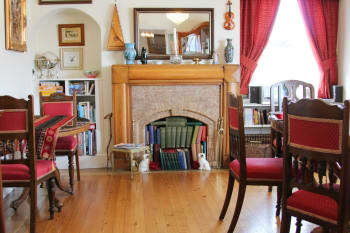 The Gantocks ,a 5 Star Gold B&B, offers exceptional hospitality and friendliness in a pristine and quality home. 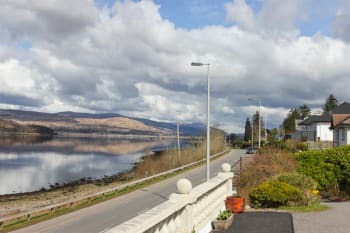 In a spectacular situation and enjoying panoramic views over Loch Linnhe, The Gantocks is a splendid base for touring our beautiful Highland glens and trails. After an adventurous day of touring and sight seeing ,relax and unwind in our sumptious and comfortable bedrooms.Enjoy luxury bedding and quality bathroom products. There are no rooms available at The Gantocks for these dates. The dolls and stuffed animals scattered around are a bit disconcerting, but the "traditional" decor and furnishing are all spotlessly clean and comfortable. The breakfast was outstanding--the best I've ever had at a B & B anywhere in the world! Homemade breads, plenty of fresh fruit, strong coffee, fluffy eggs made to order, creamy porridge, a choice of meats. It was divine! Nice to meet you all ,and thank you for your nice review which is much appreciated. Thanks for taking time to add your marks. Alan and Sandra were delightful and attentive hosts. 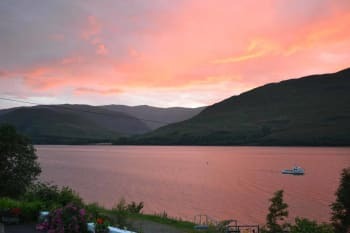 The property is in a wonderful location on the shores of the loch and only a 10 minute walk from the centre of Fort William. Breakfasts were delicious home cooked food enough to satisfy even the most voracious appetites. Eat - Crannog restaurant on the pier, Garrison, Garrison West, Do - Ben Nevis, Jacobite train Ideally have a car. So nice to meet you and to see what amazing things you managed to do in a few days.We so appreciate your lovely comments and review, and tips for future travellers.Many thanks indeed. Very warm welcome from Sandra who makes the best poached eggs ever. Husband Alan is very helpful and informative and engaging. 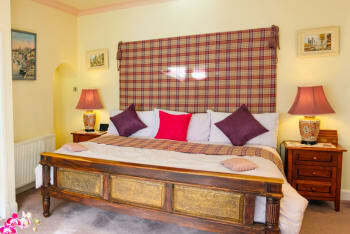 Rooms adequate for a short stay with en suite facilities. Room at the rear, overlooking the garden, is larger than the room with the Loch view. Tea and coffee facilities with home made shortbread. Would be happy to stay here again. Had an excellent meal at Crannogs. A sea food restaurant with an extensive menu. Gets busy, so book beforehand. Thank you for your nice comments.Glad you managed to see the otter. Allan and Sandra gave us a warm welcome and were very attentive and gracious. They took a genuine interest in making sure we were comfortable. 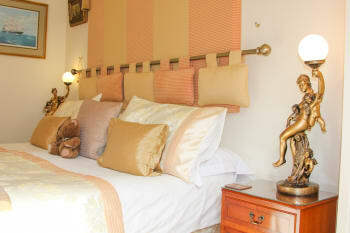 The room was elegantly decorated and to a high standard, Their attention to detail made our stay memorable. We liked the Cruachan hotel/ restaurant for dinner. Also enjoyed the burgers in the Garrison West in town. A great base for walkers and climbers. Beautiful scenery. Many thanks for your 5 star review which is much appreciated .Best wishes for your future happiness. Loved having you and hope that you spotted an otter in Skye - we had one here within 30minutes of your departure. We appreciate your lovely review.Many thanks. The owners are very welcoming and go out of their way to make you comfortable. 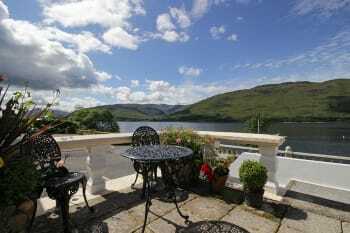 The rooms are lovely and the view from some is the loch. The food is delicious. Altogether, this is a fabulous place!!! The Lime Tree restaurant has wonderful food. It is just down the street from the Gantocks. Many thanks indeed.We so appreciate your lovely comments. So glad that you both enjoyed your stay, despite the weather! Love your comments and most appreciated. So glad that you managed the 'Ben' on your departure day and loved the photo. Many thanks for your 5 star review. Great welcome after a long drive. Warm room, great view, very helpful suggestions on what to do during our stay. Breakfast wonderful! Drive to Malliag along secondary roads beautiful. Glencoe Valley stunning scenery and some interesting information at the Centre. Restaurants only a short drive away. Lovely to meet you both and so easy to look after! Many thanks for your full marks review and great comments .We appreciate this very much. Very welcoming and helpful. Made reservations at great local restaurants. Excellent recommendations for places to see. We thoroughly appreciate your great review.Many thanks for this and for your custom. Accommodation marvellous, food great and owners really welcoming. Would definitely recommend. Jacobite Express was a great trip, but don’t forget to book in advance. Lovely to meet you both and have you stay in the Gantocks.We appreciate your great review. Many thanks. Wonderful b&b. For once I would say that everything was perfect. From the welcome with the offer of a dram and a cupa to the rooms comfort. Our hosts were pleasant and helpful without being intrusive. The breakfast requires a mention. In a word it was magnificent. If traveling from the south and overshoot the driveway, don’t worry there is a roundabout further down the road for a hassle free way th turn round. Praise indeed and much appreciated comments & review.Do hope the remainder of the holiday goes well ( amidst all the hilarity! ).Many thanks. Lovely to meet you all and have you stay twice.Many thanks for your kind review.Merci bien! Many thanks for taking the time to give us a 5 star review.We really appreciate this . So pleased that you enjoyed the Gantocks.Many thanks for the review. A lovely review which is very much appreciated.Hope the rest of your holiday went well. Many thanks. Glad you enjoyed your stay and so nice of you to say so ,by reviewing us.Lovely to meet you both. One of the best place we stayed in Scotland. Wery welcome by the hosts. They give you advises on things to do around. The rooms are well equiped, we has one room with a view on the lake. The breakfast is fantastic. The bread is dine by the host herself. I really recommend this place if you are in the region. One thing to know is that of you choose to pay with credit card you will have to pay 5% more but you can pay with other payement methods. Restaurant are accessible at 15min distance. You can do the jacobite train (harry potter train) and visit rob roy grave not far away. You have falls and nice things to see if you like to walk. We so enjoyed your visit and glad that you enjoyed yourselves.Many thanks indeed for your lovely review.. Fantastic stay, but consider providing healthy breakfast options, for example porridge with blueberry instead of cream. Thank you for your nice comments...Porridge and any fruit is always available.We do try and fulfill any requests whatsoever and menu is purely a guideline. Sandra and Allan were absolutely wonderful hosts. The views were stunning and the accomodations were A-plus! Would love to stay here again. Book a restaurant in Ft William before you arrive but as a backup plan, Wetherspoon is a good family-friendly option. Your lovely review is much appreciated.You were all a pleasure to have here.Many thanks. We loved meeting Herr and Frau Muller and so glad that they enjoyed themselves.Many thanks for the booking and great review. Sandra and Allen are such lovely hosts. We felt so welcomed, comfortable, and enjoyed laughing and relaxing. The extra long bathtub was a complete luxury after our WEst Highland Way hike. Thank yoU! You did so well with your hike and deserved lots of relaxation after that.Thank you so much for your lovely review which means a lot to us. Fabulous And very accommodating couple that seems to put a lot of love into details! Lovely to meet you both,while visiting from your own beautiful country.We do appreciate your great review.Many thanks. Loved the one mile walk into town along the loch. The breakfast was incredible. The owners Sandra and Allen are very friendly. Yes, it is a pleasant walk into town ,although some think it too long!! Many thanks for your great review and for staying with us. Very lovely- thank you so much! We really enjoyed our stay! We appreciated all your help with suggestions of trips and lunch to bring. Next time we will bring the rest of the family! Lots of outdoor activitys in the area. Mountain climbing, hikings etc. Many places close enough for daytrips. Beautiful area! Delighted with your comments.We loved having you in the Gantocks. Many thanks for your 5 star review.Most appreciated. Very beautiful and sweet house by the lake. Our room was spacious and tidy. Sandra and Allen are perfect hosts who made us feel at home. The breakfast was excellent as well. Really enjoyed our stay! Many thanks for your lovely review and comments.Very much appreciated. We appreciate you taking time to review us.Many thanks for the high score,so positive for us. Warm welcome, very friendly and it was all the small touches that made this a 5 star stay (such as the offer of tea on arrival and the delicious shortbread and fudge left in our room and a very nice wee dram as a nightcap). We would certainly recommend The Gantocks and would happily stay there again. Thank you Sandra and Allan for a wonderful stay. Try the Crannog seafood restaurant on the pier but be sure to book early. Lovely to have you all to stay here and really appreciate your kind review.Many thanks. So nice to meet you both and so pleased that you enjoyed your break here.Many,many thanks. We are delighted that we were able to make your stay so enjoyable.We appreciate you taking the time to review us so favourably.Many thanks . Amazing location , really friendly owners made us feel at home and couldn't do enough to help us enjoy our stay. The rooms were beautiful , all the little touches like homemade cakes in our room and soft fluffy towels. The breakfast menu had more than enough to please anyone and all beautifully presented. Will definitely return in the future. Beautiful scenery , close to the Nevis range for the gondola or mountain biking , Steam train ride to Mallaig. So glad that your experience in the Gantocks was do positive.We so appreciate you taking the time to review us. Many thanks. On a scale of 1-5 The Gantocks is a 10. They are wonderful people, the room was spacious and generously appointed,many extras and the breakfast fabulous. We lucked into a second night which was paradise for two nearly travellers thanks Allan and Sandra! We so appreciate your great comments and review.Amazing accomplishments for you both - walking the WHW and then conquering Ben Nevis.So glad that the weather was super for you. Many thanks. Noch nie so ein tolles Frühstück so freundlich in so einem Ambiente bekommen. So nice of you to give us such a positive review.Viele Danke! Wonderful accommodation, beautiful scenery right outside the front door. The largest bed I have ever slept in and the BEST breakfast! Fantastic hosts, thank you so much for a fabulous stay. Your lovely review is appreciated and very important to us.Many thanks to you both. I am not sure I have ever stayed at such a delightful B&B in all of my years of travel. Absolutely EVERYTHING is thought of! The rooms are so lovely and well furnished (with a nice Scottish touch) and the beds are unbelievably comfortable! Breakfast is a complete feast! I don't think I have ever had a palette cleanser at breakfast before but it was delicious! Food was perfectly prepared, home made shortbread, scones and other goodies. Whisky on arrival. And delightful views over the loch! We had perfect weather so were a little bit spoiled. The dining room was delightful and the hosts are so incredibly friendly, charming and kind. I would LOVE to stay there again and can't recommend it highly enough! Just book it. Don't look any further, if there is a room available, book it. You will not be disappointed. What an amazing review and such a help to us.We loved having you both to stay and hope the remainder of your trip went well.Many thanks. 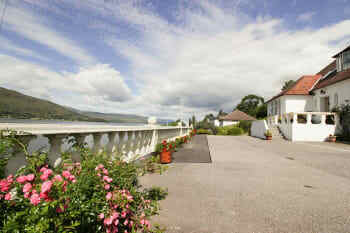 The Gantocks B&B is a perfect place to stay if you go to Fort William. Allan and Sandra are super nice and they are taking perfectly care of you. We really enjoyed staying at their house and we definitely recommend this B&B. A very warm welcome, very nice hosts, who gave a lot of important information, the house is situated wonderful directly at the lake, the rooms are marvelous and very comfortable, the breakfast opulent and high quality. Your comments are wonderful and informative.We so enjoyed meeting you.Many thanks indeed. Lovely to have visitors all the way from Israel.Many thanks for your 'full marks' review. Very friendly and comfortable beds. Lovely to meet you and many thanks for your nice review. It was really nice staying at your house. We really appreciate your friendly and forthcoming manner. Glad you enjoyed yourselves and thank you again for your custom. We so appreciate your excellent review and you taking the time to write this.Lovely to meet you.Many thanks. Lovely to meet you both and so pleased that you had such a good time.We appreciate your kind comments.Our thanks to you both. Thank you for reviewing us.So pleased that you enjoyed your stay in Fort William. Very comfortable, friendly and helpful service. Probably the finest breakfasts we have ever experienced! Thanks to Sandra and Allan for an excellent couple of days! Many thanks for good review.Appreciate you taking the time. Many thanks for your kind comments.We really enjoyed having you stay at The Gantock. Thank you for such praise! So glad that you enjoyed your visit here and haste ye back! So enjoyed meeting you both.Thank you for your lovely review and for choosing to stay at the Gantocks. We appreciate your 5 star review.Many thanks to you both. How nice of you to take the time to give us such a lovely review.Very much appreciated. We enjoyed your stay with us at The Gantocks and so glad that you had a great time in the Highlands.Many thanks indeed. So many thanks for your kind review.This is so important fir us. Great place to stay. Allan and Sandra were lovely, really knowledgable about the area and made the stay very nice indeed. Breakfast was fantastic too. It was lovely to meet you both and so glad that you enjoyed your stay.Many thanks for 5star review - helps so much for our advertising. The best B&B I have ever stayed in. The owners couldn’t be nicer. I felt like a king at breakfast. The food was amazing and I was being served by the most hospitable people I have met. This is a 10 out of 10. Have the soft scrambled eggs for breakfast. So good. Oh thank you so much for your lovely comments and 5 star review.We so appreciate you taking the time to do this. Hope you enjoy your photography course ,in Skye. Warm, friendly welcome where you get pampered. Food is excellent with Kippers to die for. Go to Mallaig on the steam train and see Glenfinnan Viaduct. On a wet, misty day go and savour the sullen, brooding peaks of Glencoe. Many thanks for 5/5 review and lovely comments.So glad that you enjoyed yourselves in spite of the wet weather.We so enjoyed having you at the Gantocks. Sandra and Alan were both so welcoming and friendly. We were greeted with a pot of tea and homemade shortbread. The hotel was immaculately clean and the breakfast was amazing! Delighted that you enjoyed your stay at the Gantocks.We so appreciate your 5/5 review and very kind words.Many thanks. Made to feel very welcome. Nothing too much trouble and great cooked breakfast. Hospitality of Henderson couple was excellent . They both welcomed us offering tea and complimentary whiskey assorted with shortbread and fudge. Breakfast was more than we could ask for and delicious. Rooms were spotless clean with extra comfort king size beds . We stayed in all the three rooms and each one is highly recommended especially the one with the lake view . Booking photos do not do it justice. It is far better . Thank you so much for 5/5 review which is very appreciated.We loved having you all to stay here. Many thanks indeed for your kind words and 5/5 review ,which is keenly appreciated by us.So pleased you enjoyed yourselves in the Highlands.Haste ye back! Sandra Henderson was very welcoming, we enjoyed her hospitality as soon as we arrived. 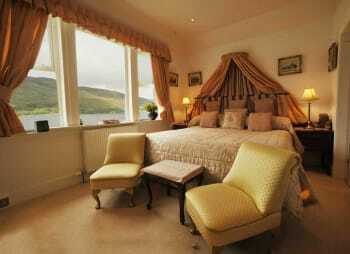 The room was immaculate, the bathroom very well appointed and the view of Loch Linnehe from the dining room is gorgeous. Many thanks and appreciation for your 5/5 review and lovely comments.We enjoyed having you stay and delighted that you had such a good time.Recipe on its way! Definitely check out the Lime Tree! So good of you to take the time to make such lovely comments and an 'all 5' review.This is very much appreciated by us.We so enjoyed meeting you and are delighted that you enjoyed your stay here. Thank you for your 'all 5 ' review.This means a lot to us and we appreciate you taking the time. Hope the rest of your holiday goes really well. You can go by feet to Fort William. A boattrip ist very nice. We appreciate you giving us 5 in each section.This is so important for our ratings in advertising. We loved meeting you both and are delighted that you enjoyed your stay.Many thanks. Thank you for our top marks review.We appreciate this and it is so important for our advertising. Our room was spotless and had everything you might need plus more!! Sandra and Allan were delightful and most helpful with any arrangements we needed. I am sorry we just had only one night to stay there. So nice of you to take time to give us such 'full marks' review - this us so important to our advertising and we truly appreciate this.Lovely to meet you both.Many thanks. Sehr nette Gastläute, sehr sauber und es hatte nicht's gefehlt. Das Badezimmer schön groß mit Wanne und Dusche. Das Frühstück war erste Klasse wie in einem Sterne Hotel. Sehr zu empfehlen, wir kommen gerne wieder. Wir waren leider nur eine Nacht dort. Es liegt ein bisschen abseits, aber dafür schön ruhig. Bei einer Nacht können wir keine Info geben. Many thanks for your 'top marks' review ,which us so appreciated by us.We are so glad that you enjoyed your stay in the Gantocks.Vielan Dank. Lovely stay and our hosts were superb. The most delicious breakfast anywhere and very helpful. A short walk to activities. Thanks very much. Worth the trip to loch leven for the freshest seafood. The lime tree was creative and sophisticated cuisine. Thanks Sandra for the fabulous recommendations! So pleased you enjoyed your stay with us.Your positive comments are much appreciated. This is the best accommodation we have stayed in especially for cleanliness and the personal touch. The views from the dining room were spectacular and we could have spent hours just watching for dolphins and activity on the Loch. It was so relaxing. Sandra's baking was to die for. The choice of breakfast was the best we have seen, catering for everyone. Scrambled eggs were the best EVER!! The little touches of fudge and home made shortbread and tea/coffee in the room was a great finish to the day. Huge thank you to you both for making it such a special trip. Visit Neptunes staircase Boat trip to view the seals otters etc, amazing. The commentary about local history added to the trip Grog and Gruel for good pub grub The only downside was at the end of the day, the long walk back up the road, as it seemed to get longer each evening. We could have got a taxi but the views across the Loch were still amazing in the twilight and we needed to have the exercise to allow us to have another great breakfast in the morning! Many thanks for your nice comments.Sorry about the 15 minute walk back ,albeit all on the flat - I suppose we think nothing of it, especially with the water beside you.Thank you for choosing us. Super room, very spacious and comfortable. Wonderful Scottish breakfast with some tasty additions. Many thanks for the positive comments and for staying with us. Thank you so much for your very positive review which is so appreciated by us.It was so nice to meet you both and hope you have a lovely time in Skye. Accueil très chaleureux, propriétaires très sympa qui font le séjour très agréable. This is a beautiful location with truly luxury accommodations. If you want to be pampered, this is your place. There is a beautiful walk along the water front, directly across the street from Gantocks. It is also within walking distance of a very excellent restaurant. Your 'all 5' and lovely review is so important to our business success and we truly appreciate you doing this.Delighted that you enjoyed your stay here ..Many thanks. Beautiful B&B, run by a very friendly couple. We very much enjoyed our stay. Trip on the Jacobite steam train is worthwhile but needs to be booked in advance. Delighted with your lovely comments.We loved having you here and glad you enjoyed yourselves.Your review is so appreciated and so useful to our business. Thanks foe taking the time to review us. Glad it was a good birthday celebration.Thank you for staying and for the very welcome review. Try to eradicate the midges!! Train to Mallaig wether Jacobite or not!! Glad you enjoyed the train trip to Mallaig and thank you for top marks in your review. Great place to stay. The hosts were so friendly and helpful. Thank you for your nice comments and high scores - very much appreciated.Hope the rest of your trip goes well and safe journey back to Oz. We so appreciate such a great review.Many thanks again for staying here and your valued custom. Really enjoyed our stay. You were very welcoming, friendly and the source of useful information. I liked the music playing. However I am not a "hearty breakfast" person and was rather overwhelmed by the breakfast on the first day, and managed to get it right the second. That I finished what I ordered is down to me not wasting things. For me what would have been perfect was cereal and fruit and with tea or coffee, no cake, croissants or scones. Although delicious I ate them (or some of them) more out of a sense of not wanting to upset whoever had so carefully set them out, and made them. Fort William is a busy place so take the advice we were offered and book your meals when you book a stay at the Gantocks. We ate at the Cranog on two consecutive nights - an excellent venue and a long enough walk back to the Gantocks to both work up an appetite on the way there and work off the food and wine as you head back. If you are heading for Nevis leave the car at the Gantocks and take the path over Cow hill. There is a nice Bistro at the Neptunes stair. Thank you very much for your nice review.Sorry that we nearly over fed you but we love doing that!! Good info on the area for future guests. Many thanks for your review and valued custom. Not stayed enough but really appréciâte the welcome and warmness of our hosts. Sandra und Alan sind überaus gastfreundlich, hilfsbereit und zuvorkommend. Das Frühstück ist einzigartig (best breakfast ever) und wird durch informative und humorvolle Anekdoten des Hausherrn begleitet. Wir hatten fünf traumhafte Tage. We so enjoyed having you to stay in The Gantocks and much appreciate your lovely revue. Many thanks indeed and hope to see you again. Already have recommended the Gantocks. Wonderful place to stay with every attention to detail. Food was delicious and plentiful to the point of exploding!! Our rooms were beautiful, roomy and well thought out ie plug for hairdryer was within distance of a mirror (one of my bug bears) A better welcome would be hard to find anywhere in the world. Thank you Sandra and Alan for a memorable stay and a brilliant end to our holiday. We came to Fort William for the steam train trip to Mallaig. Highly recommended. We had a great trip despite the rain. Your comments are lovely and so appreciated by us. You were so delightful and easy to look after.Many thanks indeed. We so enjoyed meeting you both and delighted that you really enjoyed your stay with us.Many thanks for lovely review. the best breakfeast in Scotland !! beautiful rooms , beautiful view during the breakfeast, very warm welcome !! So glad that you enjoyed your stay with us at the Gantocks.Many thanks for such a lovely review and much appreciated. Friendly welcome. Excellent rooms with every comfort. Outstanding breakfast. Found a Thai restaurant on the High Street with BYO alcohol. Very good meal. We appreciate your very positive review and hope the rest of your trip went well.Many thanks. Only negative for me was not enough room for 2 suitcases comfortably. Everything else of excellent standard. Scones amazing!!!! Thank you so much.Enjoyed meeting you all. Thanks for your good review.Lovely to meet you and we hear that Bob K is in Aberdeen now! Many thanks for your 100% positive review, which is most valued and appreciated by us. Sandra and Alan were or very congenial and helpful hosts. They served a wonderful breakfast, highlighted by a mid course palate cleanser. Many thanks for your positive remarks.Much appreciated. It was a pleasure to stay at the Gantocks. Everything was superb - from the friendly "welcome" upon arrival, to the beautiful room with all the special touches. Breakfast was lovely too. Thanks for helping make our first trip to Scotland so enjoyable. Our stay at The Gantocks was wonderful! Upon arriving, we were greeted by Sandra and Allan, and were quickly given a cup of tea and the best shortbread biscuits you coma ever imagine! The rooms are immaculately clean and spacious. Breakfast in the morning was better than most restaurants and there was more food than we could have eaten - so you will definitely be full for the day! Sandra and Allan were the best hosts- very friendly, and offered great recommendations. We will absolutely stay again next time we come to Fort William! So many thanks for such a wonderful review.We are delighted that you enjoyed your stay with us.Happy customers make our life very rewarding.Thank you for staying with us. Great service!Terrific Breakfast! Highly recommendable B&B. Thank you so much for great review ,particularly from a travel agent! We so enjoyed having you all here. Darling couple, outgoing and friendly. Food made with love - best scones ever! Henderson Room has terrific soaking tub. Lime Tree restaurant has very contemporary menu that is executed extremely well. Service staff is fairly clueless, but kitchen crew shows great expertise. Even on a cloudy day with intermittent showers, the drive to Mallaig (with obligatory stop at Glenfinnnan Monument) and ferry to Isle of Skye was worth the long day of driving. So glad that you enjoyed your stay with us.We so enjoyed having you here and thank you for your lovely comments - we really value such a positive review. A wonderful stay. We really enjoyed ourselves and thank you for your advice and insights of the area as well as your gracious hospitality. Extremely welcoming and friendly. Lovely room and comfortable bed. The best breakfast we've had when staying away. Wonderful. Many thanks for such positive remarks.Much appreciated. We had a lovely view of the water from our room. The bed was very comfortable and the power shower was really nice. Breakfast was amazing. The black pudding was the best we have had with a very nice level of spice. We really enjoyed the selection of fresh baked scones and breads. Even the porridge was done very well. We would absolutely stay at the Gantocks in future visits. Beautiful room and house, wonderful welcome, amazing food and fabulous location! We were welcomed, after a long journey, with tea and home baked cakes from our hosts and then left to get on with things unless we needed help, which was very welcome. The breakfast on both days was probably the best I have ever had in any establishment! Personal, attentive service with our engaging host and a wealth of local knowledge and advice/tips if requested. Overall The Gantocks is an excellent choice and I would thoroughly recommend it. Thank you so much.This is such a help to our overall profile and makes what we do worthwhile. Lovely folks and a very accommodating place. A bit of a walk into town for dinner but the view from the breakfast window can't be beat and the breakfast is fantastic - make sure to give yourself plenty of time to enjoy it! The place on the dock is an amazing meal but again, it's a bit of a walk. I think it is important to have a car, but as I was only up for two nights that was not a problem. Very quiet and restful. One of the nicest rooms I have ever stayed in and the views from the room are breathe taking. A very warm and friendly atmosphere and the food was absolutely delicious. Nowhere else I would stay again in fort William but this place. Stunning. Many thanks for your great review.So nice to meet you both. Thank you so much for taking the time to review us so positively. The facilities were immaculate and comfortable and the owners were personable and very helpful! Breakfast was fabulous! Many thanks for your lovely review and comments. Your review means a lot to us.Many thanks. So glad that you enjoyed your stay and thanks for lovely comments. We received excellent service and first class hospitality from the moment we arrived and a room which had everything you could ever wish for, would highly recommend. Many thanks for your lovely review.This is so important for our overall rating. Many thanks for your excellent review and a good boost to our ratings. Thanks for taking the time to review us so favourably - a great help to our overall percentage. Thank you some have for taking the time to give us an all 'excellent' review - much appreciated. Very hard for other B&B or hotels to compete against. TOP CLASS. 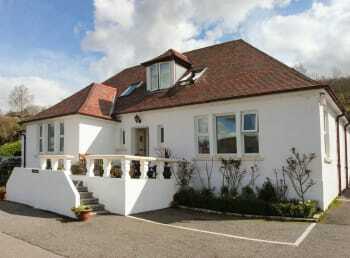 Book lime tree restaurant before arrival to Inverness. Squisiti proprietari, camera silenziosa ed ampia, con un letto ottimo ed un simpatico arredamento ed un bagno super attrezzato con vasca idromassaggio e doccia con porta in vetro. Asciugamani grandi e soffici cambiati tutti i giorni. A disposizione, bollitore con tè e caffè e dolcetti fatti in casa. La colazione del mattino è il punto forte del The Gantoks, con ampia scelta, porzioni molto abbondanti cucinate e servite con maestria. Ve lo consiglio, ne sarete pienamente soddisfatti! The Gantocks far exceeded our expectations not just in the warmth with which we were met by hosts Sandra and Allan but in the comfort of our room, the delightful loch view and especially the quality, variety and deliciousness of the superb breakfasts we were offered and enjoyed so much. Even on a fairly miserable day weatherwise the drive to Mallaig was glorious. We would love to do the trip on "The Jacobite" but on this occasion failed to appreciate the need to book online and well in advance. Would advise taking Sandra's suggestions on eating out. She did us proud. Wonderful b&b luxurious - owners lovely couple. Great comfortable room with stunning views - food wonderful. Thank you so much for your lovely review and high scores.So appreciated. Superb breakfast! Very friendly and helpful hosts. Wonderful stay. The B&B is located about a mile out of the town with beautiful fews. The owners are awesome and very helpful and careing. Unbelievable breakfast! We hope to comeback someday and would stay at The Gantocks again. Thanks for everything! Hike Glen Nevis. Super trails and many beaurtiful places to see. Thanks for taking the time to review us so positively - your 'full marks' are such a boost to us.We loved having you here . Thank you so much for your wonderful review, so much appreciated by us. Thanks for the 'full marks' review - this makes such a difference to our overall ratings. Very kind people, nice room with beautifull view on the loch. Good facilities. Very good breakfast also for guests not coming from the UK. In the room and with the breakfast nice attention. Many thanks for your 'full marks'! This is such a boost to our ratings. Everything was absolutely perfect and above standarts! the room was super clean, very cosy, with cute details and a nice view. Especially the breakfast with this very tasty homemade berry-shot that we got was very tasty. Allan and Sandra - you were absolutely terrific. We really enjoyed our stay, despite the weather, and you could not have made us feel more welcome. We enjoyed meals out at the Lime Tree and the Cranoch sea food restaurant. We would recommend (on a reasonably good day) a trip in the cable car in the Nevis Range activity centre, with some easy walks at the top. Lovely room. Delicious multi-course breakfast. Very welcoming hosts. Thanks for taking time to give us such a nice rating. Absolutely fantastic, our hosts could not have been more helpful. Would highly recommend The Gantocks for a great place to stay , with all the little extras that make you feel special . Most comfortable bed in th UK! Room was beautifully and comfortably furnished, with home made treats in our room. We were served a lovely tea in the afternoon ( more homemade treats) in the dining room which has a spectacular view of the bay. 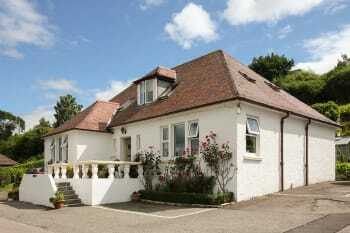 Beautiful gardens surround the home, and it is a short pleasant walk to the town centre. Our hosts were most congenial and welcoming. Breakfast was superb. A perfect stay. Thank you so much. We really appreciate your positive feed back which helps our ratings. A very nice, briljant stay Friendly owners, nice interior decoration Superb breakfast!!!!!! Many thanks for the good comments. Sandra and Allan were wonderful hosts!! We very much appreciated the extra help given to us during our stay. So nice of you.Many thanks. How nice of you to make such a lovely review.So glad you enjoyed yourselves. Sandra and Allen ( hosts ) are lovely people and the house is absolutely beautiful..exceptionally clean and fresh. Great views. The breakfast is 5 star...delicious!! So lad you enjoyed your stay.Many thanks. Loved the extra little touches i.e. treats on arrival & daily put in room, every accessory we required or may of forgotten, enjoyed relax soak in hydrotherapy bath. Large bedroom & bed, great views. Variety of choices for breakfast. Extremely friendly and accommodating hosts. Book a trip on the Jacobite steam train which travel over viaduct featured in Harry Potter film, enjoyed great views. Other places to visit, Neptune Staircase, Glenfinnan Monument and ride a gondola at Nevis Mountain Range for fantastic views. How nice of you to take the time to comment. We have enjoyed truly delicious breakfast - especially home made bakery and wonderful smoked kipper. The care of the owners was outstanding. The bed was enormously broad and comfortable. Nice view from the dining room. Great shower and exquisite huge towels. Payment by a card is subject to a surcharge (payment in cash is not). We would definitely come again. Many thanks for your full marks review.It was a pleasure to have you stay in The Gantocks. Many thanks for full marks! What a happy and enjoyable group to have here. A Very warm welcome on arrival from hosts Sandra and Allen. Gorgeous room with everything you could possibly need. Fantastic breakfasts that will last you til tea time! Nothing too much trouble for our hosts. All in all, a lovely stay with equally lovely people. Would thoroughly recommend a stay at The Gantocks. Thank you so much, we loved having you. A very enjoyable stay, very comfortable room and bed. Many little extras like lovely home baking and the friendly and attentive hosts made our stay perfect. We only stayed for one night but that was enough for us to know how good it would have been if we had been there longer. There is a beautiful view of the Loch and mountains opposite. Breakfast was superb and the hosts couldn't have been more welcoming. Loved the cooked breakfast options including the tipsy grapefruit and banana and yoghurt pot. Played Scottish music in the evening and at breakfast. Welcomed with home made shortbread and fudge. A lovely stay in comfortable beds and with everything you need provided. Make sure you drive between Fort William and Oban as the views are amazing. Everything was very clean and tidy, very comfortable bed and one of the best breakfast that I have ever had. Service was kind and the view from the dinning room was outstanding. My husband and myself have stayed in many, many hotels & B&B's over the years but I have to say that The Gantocks is far and away the best place ever. From the moment we arrived to the morning we left we felt so welcome and comfortable. Sandra & Alan are excellent & experienced hosts and nothing was too much trouble. We had large fluffy towels fresh every day, also fresh face-clothes & soap! Also little extras like home-made fudge and other sweeties too! The breakfast was oput of this world with so many choices that we could have something different each day. The breakfast itself was full of surprises with fresh, hot scones and jam along with oatcakes before you had your chosen breakfast, then in between courses we had a wonderful fruit smoothie to clear the palate! It was amazing. We will definitely be returning, those two are fabulous. This was our first time staying in and B&B and the whole experience was amazing. The bedroom and bathroom were of a very high quality and we had everything we needed for a comfortable stay. Benita and Allan were fantastic and they went over and beyond to look after us. We loved all the little extras they did for us including scones, shortbread and they even had available a 'wee dram of local scotch' for us. We are already thinking about our next stay in the area and would love to stay at the Gantocks again. I have stayed in some 5 star hotels which you beat in every way. The views were brilliant and the hospitality and home baking were exquisite. 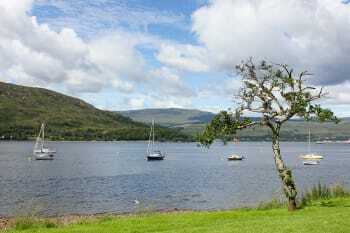 Leave your car and enjoy the walk along the loch into Fort William, don't miss a visit to Ben Nevis. Thank you for your kind words.It was a pleasure to have you here and so glad that you enjoyed yourself. Wonderful and friendly host. Room is clean and comfortable. Breakfast is amazing. Check out the recommended restaurants by the host. We had lunch atdinner at Crannog Seafood Restaurant which is an excellent place to taste local seafood. Excellent place to stay, fantastic view over the loch, 3 minutes drive into town, if you left hungry after breakfast it was your own fault,very wide choice of beautifully cooked food.Very friendly hosts. The Crofters pub is excellent for a pint of Flying Scotsman beer and the Seafood restaurant is excellent for friendly service and good food. Thank you indeed for such praise!! We are delighted that you stayed with us and I'm sure Gleneagles will be 'out of this world'. Enjoy the remainder of your holiday. Wonderful experience very friendly and welcoming hosts delicious baked goods don't miss the homemade shortbread. Family of three we had a great all be it short one night stay. Would definitely stay again next time we are in the highlands. Outstanding fish at Crannog restaurant. Be sure to make reservation as it is a small restaurant. Well worth calling ahead. In a word "faultless". Wonderful location, excellent host & hostess, comfortable, and best breakfast choice and quality ever. Things to see and do - just ask Alan or Sandra. 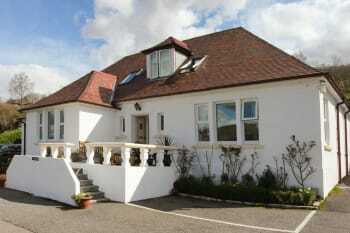 Very pleasent stay with very kind people in a wonderfull house and scenery. Beautiful location luxurious room, very clean. Bed was very comfortable had a very good nights sleep. 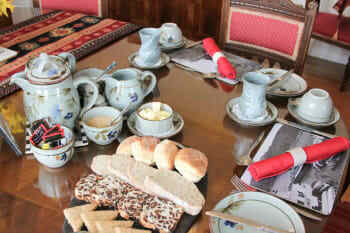 The selection of foods at breakfast accommodates all tastes, and tasted very nice especially the homebaking. Our hosts were friendly and attentive, we thoroughly enjoyed our stay. The Crannog Seafood Restaurant was 5 Star food, highly recommend for a good evening dining. Visit Nevis Range and Glencoe chairlift the views are amazing. Have a drive in the beautiful countryside. Can't fault The Gantocks in any way. The place is spotlessly clean,beautifully furnished and professionally run by it's friendly owners. Amazing hospitality by Sandra and Alan. Breathtaking views of the Loch from the Henderson room. Scrumptious, home cooked breakfast. We loved every minute of it and were made to feel like home. Thank you!! Restaurants are a little bit far away from the house if you dont have car. Excellent service and remarkable view. 2-rosette Russell's in Spean Bridge. Even though the weather conditions and time of day would have made it hard to see, I wish the sign had been a little larger or better lit. That said, the accomodations and food provided were beyond expectations. A lovely experience. The hosts were a delight as well. Not to be missed - The Jacobite train trip. Lovely comments from a lovely party of people.We are discouraged from having large signs but will improve the sign lighting.Many thanks too for super picture shots. Enjoyed Sandra and Allen very much. They were very sweet and helpful. The view from their home was awesome and their garden just beautiful. Fantastic B&B the hosts were very friendly and helpful and the attention to detail was second to none. Thank you for the perfectly ospitality. If you stay in Fort William, then stay necessarily in the Gantocks. Great Place!! An excellent few days away with the Gantocks. Boundless hospitality, nothing too much trouble and fantastic local knowledge which was freely shared when we talked about our plans for the next day. 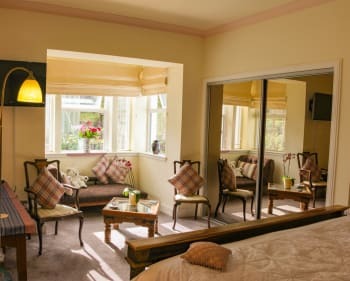 A beautifully presented room, with everything we could possibly need, Wi-fi, TV, brewing up facilities with home made shortbred,fabulous power shower and even a pair of binoculars to look out over the loch! Fabulous breakfast which fiiled us up until evening, not to mention the wee dram of local whiskey that we were invited to partake of at the end of the day. The rooms were gorgeous, the breakfast was delicious (you must try the fruit plate as it was not only delicious but a work of art) and Allan & Sandra were so friendly and accomodating. Allan drew us a map of where to hike to get a "once in a lifetime" photo of the Jacobite train passing over the Glenfinnan Bridge and we got it!!! This was the nicest B & B we have ever stayed in. It was 2 days of luxury! The Jacobite train is a must! You might be tempted to book a table for 2 but go with the table for 4 as the views are better and you will enjoy talking with other travelers. Excellent accomodation with accurancy in the details. Wonderful view from the room and we really appreciated everything. Thanks a lot. Extremely friendly staff. Breakfast was amazing. Bed was super comfortable which was great after climbing Ben Nevis. We were looking for somewhere to eat and staff booked is a table at a great restaurant. 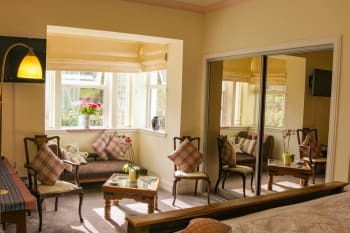 Nothing was too much trouble for our host, from letting us look at the available rooms and allowing us choose which one we wanted to the tea and shortbread on arrival. Everything about our stay was wonderful. We would definitely stay again if we are ever near to Fort William. The steam train ride to Mallaig over the 'Harry Potter' viaduct is well worth a trip. The only flaw is the Internet, too slow, otherwise everything perfect! It's hard to find a B&B with these standards and with this courtesy! We had a very pleasant stay. Nice views, easy walk into town, delicious breakfast, clean, comfortable room, and friendly, helpful hosts. Great beginning to a fantastic visit to Scotland! The hosts are ideal B&B owners. They make you feel welcome, are well informed about local tourist attractions, and are happy to chat about local news etc. We were offered tea when we arrived - just the thing after our drive up! Try their "Tipsy Grapefruit" for breakfast, excellent! Beautiful B&B. Arrived feeling very under the weather and was tucked up in my ever-so-comfy bed in no time. The perfect end-of-west-highland-way stay! FANTASTIC! We had a wonderful stay and only wished we had been there longer. You could not have done more to make our stay memorable and we will never forget the trouble Alan went to in bringing my Earrings and Umbrella to the Jacobite Train - thank you so much. The Bed was a dream, you have a lovely home and the Breakfast was out of this world. We were so very comfortable and would simply love to come again. Crannock Seafood Restaurant - we really liked it. The Jacobite Train to Mullaig was lovely. This was the most fabulous stay in every way! Room appointments were well thought out. It had everything you could possibly need. Hosts were incredibly delightful, and the breakfast was to die for! Can't say enough....we loved it. Extremely friendly and accommodating. The property is a small B&Band the owners were very attentive but not over bearing. Fantastic choices for breakfast and cooked/served in an impressive way! Very enjoyable! Sunday night is a quiet Nite in town. Great evening at Crannog .... A great Sesfood restaurant with a fabulous selection of fresh Scottish fare. The village center was very close by ... In fact we walked back after dinner!!! Excellent room, location and hospitality. Much enjoyed. Lots of good restaurants around to visit- Crannog, Lime Tree, Russells, Ben Nevis Inn. Spectacular scenery. Great great, and keep greater! Very friendly and welcoming. Lovely location and excellent breakfast. Lovely stay with friendly people! It was perfect, we felt very at home. Our stay with Allan and Sandra at the Gantocks was fantastic. 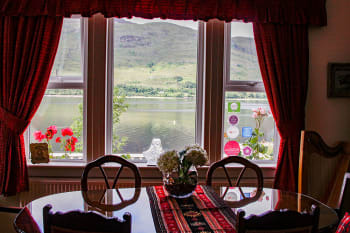 We were fortunate enough to have a breathtaking view over the loch, and the room itself was extremely comfortable. The food and friendliness shown by Allan and Sandra was even better! I only wish we could have stayed for longer, and hopefully will be able to return sooner rather than later. I would highly recommend The Crannog restaurant nearby, and taking the Jacobite steam train to Mallaig. Ask about the great seafood place within walking distance right on the water. We had a very warm welcome from Sandra and Allan, who gave us several ideas for things to do in Fort William. The selection and quality of the breakfast was the best we had in our week in Scotland, including cooked breakfast with all the trimmings, porridge, and a generous, well-presented fruit salad. The room was luxurious - the bed was approx 6ft6" long and wide - and the bathroom was very nicely done indeed.